Hello everyone, I have a product review to show you guys today. I approached BornPrettyStore via email, asking how I go about doing a product review & getting a coupon code. I gave them all my social media links & Daisy the wonderful lady I spoke with emailed me back saying they would they I am able to do a product review so she let me pick something from the store to review, & I chose the "1 bag 2mm silver square stud rhinestone Acrylic UV Gel Nail art"
I am no way being paid to do this review. The opinion that I am about to express are my own. So I really really love the nail art studs, I always wanted them but never got them because I didn't think they would work well because the corners would stick up & get caught on things. However these ones are exactly the opposite of what I thought they would be like. As you may see in the picture above the back of the studs are curved. So they form around the nail much better then I thought they would. Over all I am very happy with this product. The studs cost 5.73$ & they ship for free world wide ! 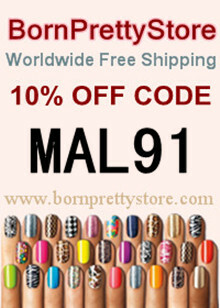 Which I love, I am a huge fan of free shipping especially since I live in Canada. 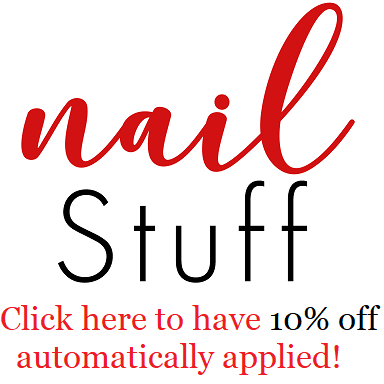 Here is a coupon code for 10% off of your order! & if more then 10 people use this coupon code they will sponsor a giveaway for my blog ! Great review, I've often wondered what the surface of these is like. How long did delivery take? The package said it came from Hong kong but it only took i think it was a week to get here.